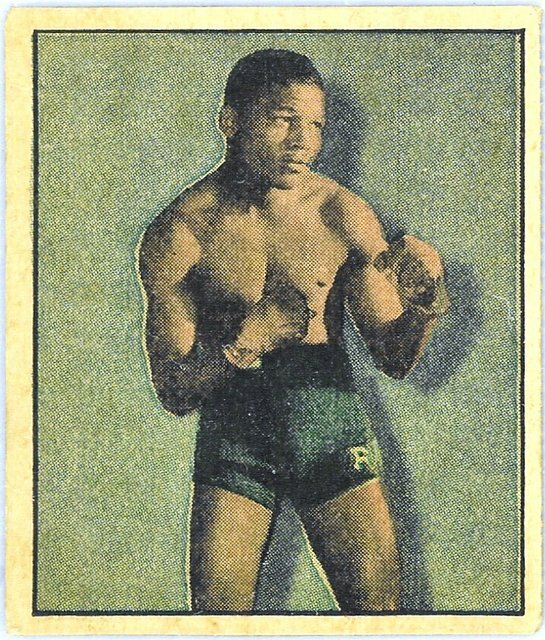 1951 Berk Ross Hit Parade of Champions (W532)Sugar Ray Robinson. This ugly multisport set was issued in boxed sets for sale directly to children in 1951, in four series. The cards came in two-card panels with a perforation between them.